There are several Quilt-Alongs, or QALs, happening this month. A quilt-along is a great motivation to work on a pattern that you've always wanted to try! I'm participating in the Feathers QAL, hosted by Nydia and Karen. 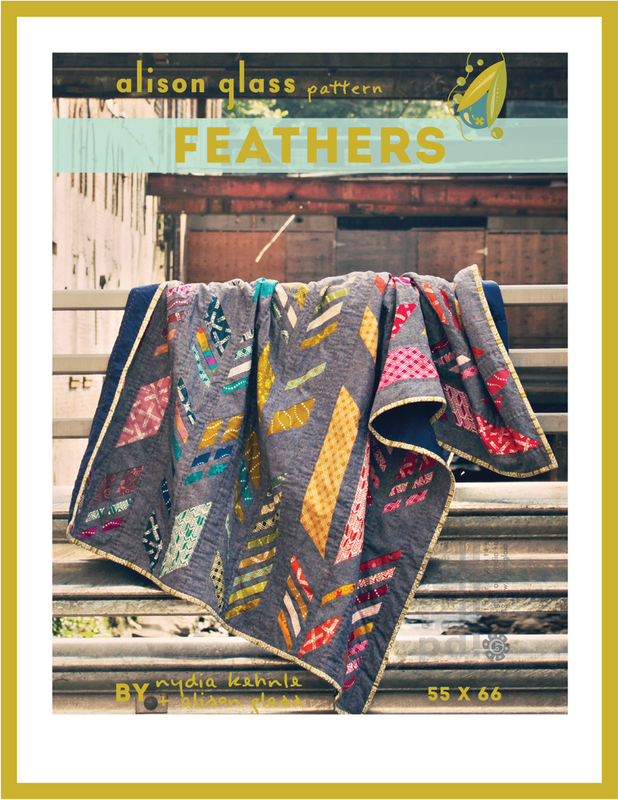 This QAL features Alison Glass' Feathers pattern. 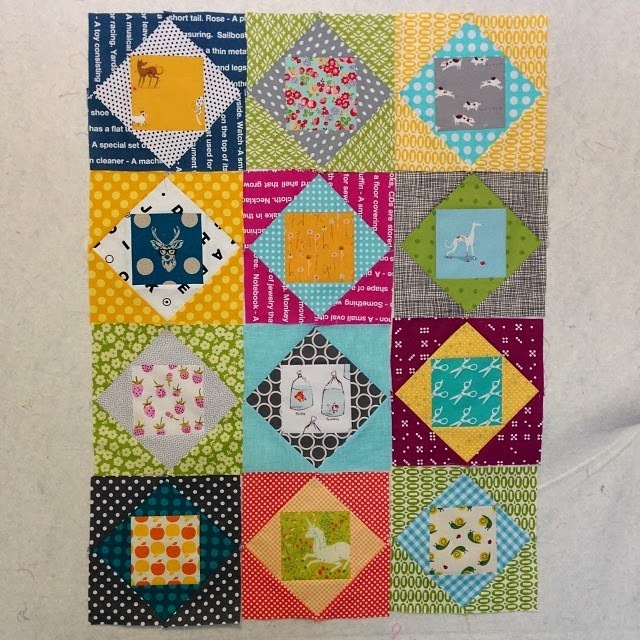 Brenda, Katy of I'm a ginger monkey, and Rita of Red Pepper Quilts are hosting the Economy Block QAL. As you can see from Brenda's blocks, these are great for fussy cut pieces and special scraps. You can find a great variety of fun fabrics for these blocks in the Kawaii Fabrics Club. Also starting soon, Sukie is hosting a QAL featuring the new Vintage Quilt Revival book, by Katie of Swim Bike Quilt, Faith of Fresh Lemons, and Lee of Freshly Pieced. Are you joining in on any of these (or other) QALs this spring?